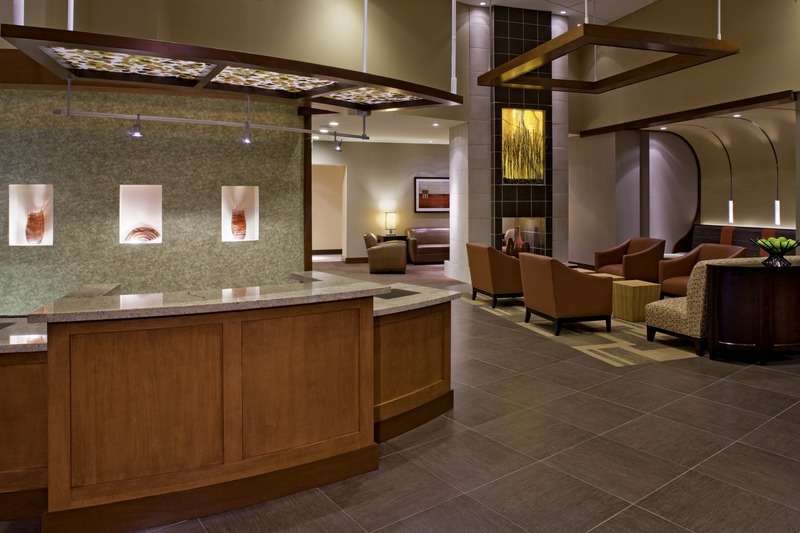 The Hyatt Place Chesapeake/Greenbrier is a new kind of hotel that puts style, innovation, and The Hyatt Touch® within everyone's reach. 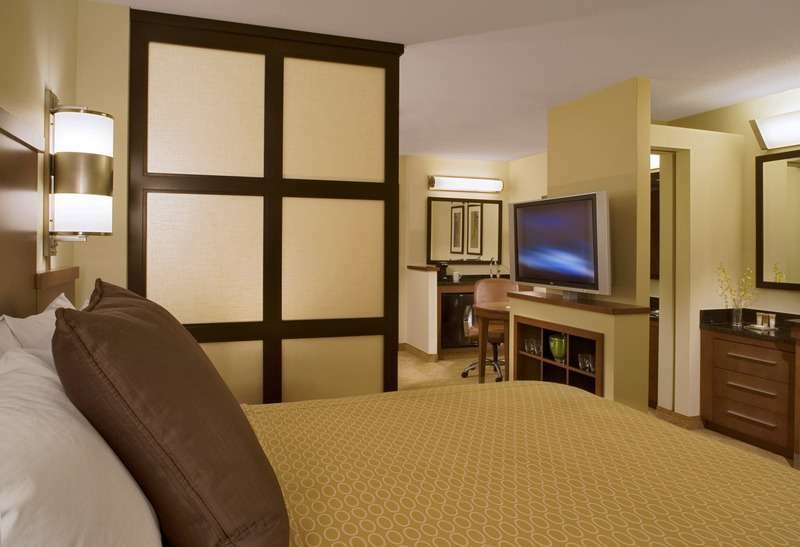 Our guests will enjoy a spacious guest room with a 42" flat-panel High Definition Television, our Hyatt Grand Bed™, a plush cozy corner over-sized sofa sleeper that is separated from the sleeping area, and complimentary high-speed wi-fi internet access throughout the hotel. The innovation extends beyond the guest room. Our gallery is a warm and open area that features a self-registration kiosk, an intimate coffee and wine cafe, a tv den and an e-room with free access to a public computer and printer. 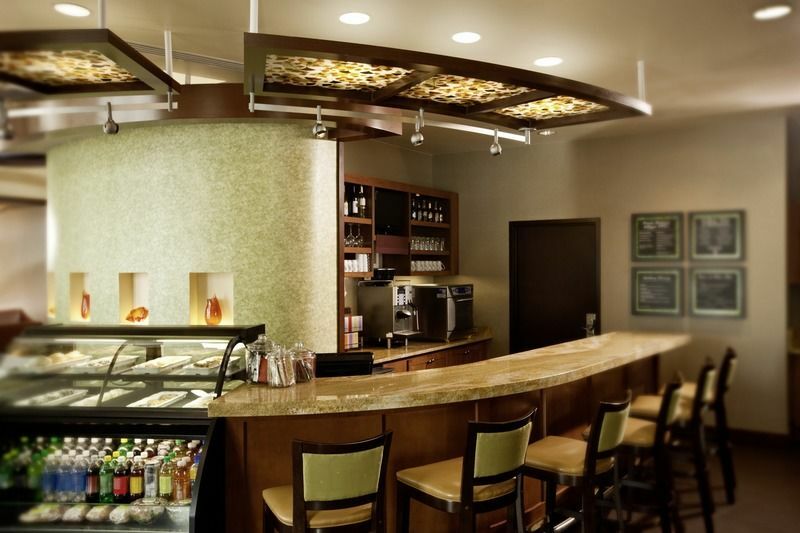 Guests at Hyatt Place may purchase signature hot breakfast entrées along with Starbucks® Specialty Coffees or enjoy a free continental breakfast. 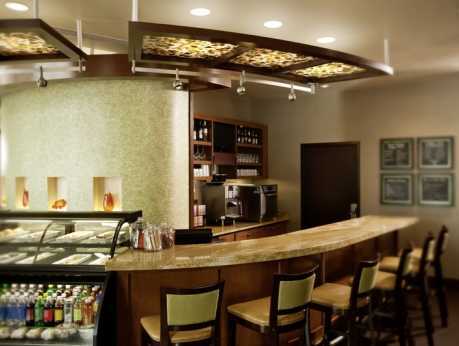 Hyatt Place also offers a variety of freshly prepared, cafe quality items, including made-to-order entrées, sandwiches, soups, salads, and pizza which guests can order 24 hours a day, seven days a week via a touch screen menu in the guest kitchen or from the guest host. 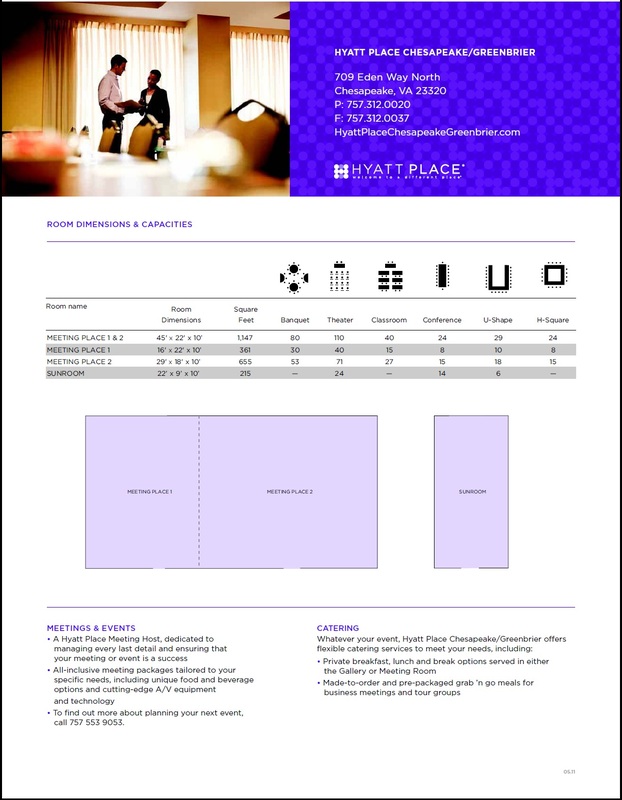 Description Add style and service to your next meeting when you host it at Hyatt Place. 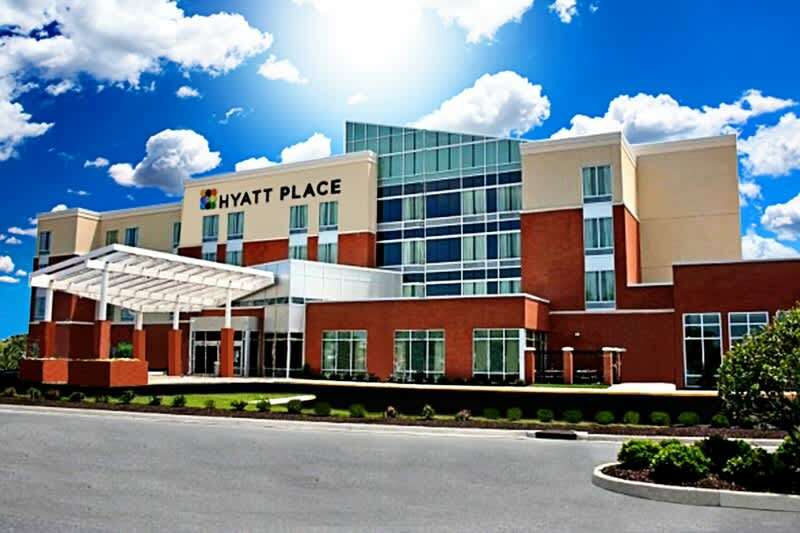 Our all inclusive meeting package includes a Hyatt Place Meeting Host dedicated to the success of your meeting, as well as state-of-the-art audio/visual equipment and innovative food and beverage offerings.